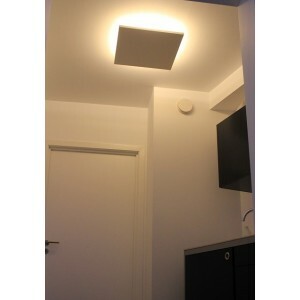 Square-shaped lighting out of reinforced plaster. 50x50cm.GESSO design. Roundabout lighting (on the ceiling). Material : Made with hight hardness plaster with a mineral insert.